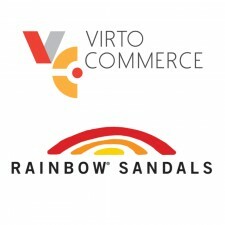 LOS ANGELES, February 12, 2019	(Newswire.com) - Virto Commerce, a leading provider of digital commerce software, today announced that Rainbow® Sandals selected the Virto Commerce digital platform to transform its B2B and B2C commerce solutions. Rainbow® Sandals selected Virto Commerce to optimize their online store and customer experience, deploy multiple touchpoints, and improve operational and technical capability across the entire organization. By implementing the Virto digital commerce solution, Rainbow® will improve its shopping experience for customers, as well as improve back-end integration of the catalog and inventory. Rainbow® Sandals are created by hand, using specially formulated glue to keep the layers together and the straps in place and prevent breakage. The Rainbow® founder personally formulated the various densities of sponge rubber with "memory" to mold to individuals' feet. The reputation of making quality and comfortable sandals is how Rainbow® has grown to be the popular sandal they are today. "We are pleased to be working with the Virto Commerce team to improve our commerce solution,” said Jay “Sparky” Longley, Founder and CEO of Rainbow® Sandals. “We look forward to the improved online store and premium customer experience, as well building a solid foundation infrastructure for our product catalog behind the scenes. We are confident that Virto is the right choice for our commerce platform." Team shares real-world digital commerce best practices and implementation lessons. VirtoSoftware released a new version of Kanban for Sharepoint Online with several useful features.